Greetings from The 88 Project! We are bringing you news, analysis, and actions regarding human rights and civil society in Vietnam during the week of February 19-25. Young political prisoner Nguyen Van Hoa was transferred to a prison in Quang Nam province, 500 km away from his hometown. Prominent activist Pham Doan Trang faces imminent arrest and prosecution and we urge you to take immediate action for her. Two activists in Ho Chi Minh city were evicted after participating in a peaceful memorial of soldiers and civilians killed by the army of China in 1979. Dissident singer Mai Khoi was recognized by Amnesty International as one of 12 inspiring human rights activists to follow in 2018. In international advocacy, Nguyen Trung Trong Nghia, son of imprisoned pastor Nguyen Trung Ton, addressed the Geneva Summit for Human Rights and Democracy to describe the persecution of his father and other religious leaders. Meanwhile, UN human rights experts urged the Vietnamese government to release individuals jailed for protesting the Formosa chemical spill. Read the section on Vietnam in Amnesty International’s Annual Report, and more news on Vietnamese politics, internet freedom, and EU-Vietnam FTA. Last but not least, please take action for Pham Doan Trang and pastor Nguyen Trung Ton and his fellow activists. Read the full newsletter, here. 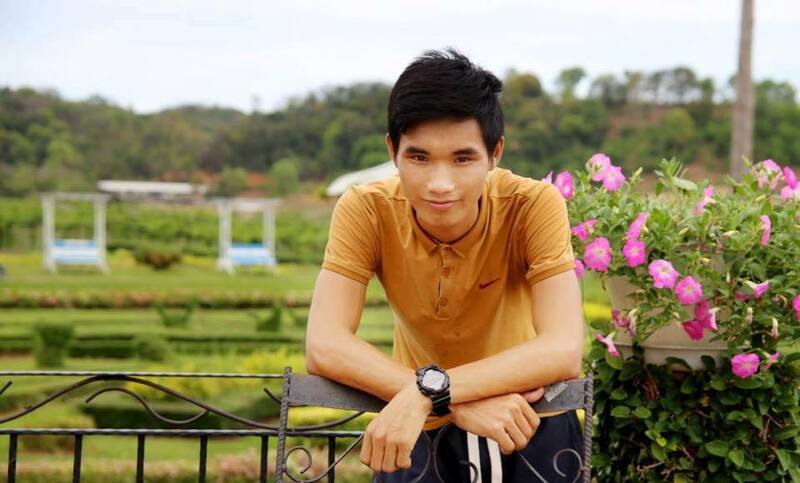 Young citizen journalist Nguyen Van Hoa has been transferred to An Diem prison, located in Dai Loc district of the central province of Quang Nam, approximately 500 km away from his native Ha Tinh Province. This past November Hoa was sentenced to seven years in prison and three years house arrest for “conducting anti-state propaganda.” It is becoming increasingly common for Vietnamese authorities to transfer prisoners of conscience to facilities far from their families, making it difficult for them to visit the detainees. Earlier this month, Vietnam’s authorities transferred imprisoned blogger and prominent human rights activist Nguyen Ngoc Nhu Quynh to the central province of Thanh Hoa, around 1,200 km from her native Khanh Hoa province. Prominent activist Pham Doan Trang is facing risks of imminent arrest and formal prosecution in Hanoi where she is visiting her mother for Lunar New Year. On February 24, she was arbitrarily and forcefully taken into custody by Vietnamese authorities. She was abducted from her mother’s house in Hanoi at 2 pm by the police to be interrogated about her recently-published book, “Chính trị bình dân” (Politics for the Masses), without an arrest warrant. Trang was taken back home after 10 hours, at midnight, but must continue to “work” with the police in the coming days. The police warned her to not try to escape, as, they said, the area is heavily watched. Electricity and Internet are cut off from the house. These are the signs that a serious investigation is ongoing against Trang. Trang herself thinks the authorities are preparing to arrest her, and posted a bilingual letter on her Facebook page to thank those who support her and assert her commitment. Likely due to pressure from local authorities, primary school teacher Nguyen Thi Loan has been evicted. Ms. Nguyen’s eviction is allegedly a result of her participation in a memorial of soldiers and civilians killed by the army of China during a short war between Vietnam and China that took place during February to March, 1979. On February 17, Loan and her husband Trinh Toan, together with several activists, held a small demonstration at the Tran Hung Dao monument in the city’s center to mark the 39th anniversary of the war, in which approximately 60,000 Vietnamese soldiers and civilians were killed by the Chinese army. Loan said she and her husband have been forced to move from one place to another many times in recent months due to their social activities. Other activists have also complained of harassment by authorities in order to prevent them from gathering to pay tribute to the victims of the war with China. Pastor Nguyen Trung Ton, in pre-trial detention since July 30, 2017 for his connection with the Brotherhood for Democracy. Detained political activist and pastor Nguyen Trung Ton‘s son addressed the 10th Geneva Summit for Human Rights and Democracy on February 20 to tell the story of the harassment against his father, the imprisonment of his father, the struggle of his mother to sustain the family, and, more generally, the story of persecution against independent-minded religious leaders. Nguyen Trung Trong Nghia, 22, told the audience: “While in jail, my father has been denied a lawyer. And it was only a few weeks ago, after 6 months, that my mother was able to see meet my dad. Everybody busted out in tears as my 10-year-old brother started crying because he sees dad. My mom couldn’t hold her tears, thinking of what has been happening for our family for the past 16 years. Ever since, we started to be different, ever since we started to stand for what is right, ever since we started to say ‘enough is enough’.” Read and watch his full remarks here. On February 23, UN human rights experts called on the government of Vietnam to release individuals jailed for protesting the Formosa chemical spill. “Imprisoning bloggers and activists for their legitimate work raising public awareness on environmental and public health concerns is unacceptable,” said Baskut Tuncak, Special Rapporteur for Human Rights and Hazardous Substances and Wastes. David Kaye, UN Special Rapporteur on freedom of expression, said he was deeply concerned by the increasing number of arrests and the detention of rights activists and journalists covering issues of public relevance in Vietnam. The UN has noted the cases of Hoang Duc Binh, Nguyen Nam Phong, Nguyen Ngoc Nhu Quynh, and Nguyen Van Hoa for their activism about Formosa. Please take immediate action for Pham Doan Trang to protect her from being arrested by raising concerns with the Vietnamese governments about her arbitrary temporary detention and by sharing the information about her situation. Please take Amnesty International’s Urgent Action for Pham Van Troi, Truong Minh Duc, and Nguyen Trung Ton. They are being held in incommunicado detention and need access to healthcare treatment. You can also take Front Line Defender’s action for Nguyen Trung Ton, Pham Van Troi, Nguyen Bac Truyen, and Truong Minh Duc, calling for their immediate release.